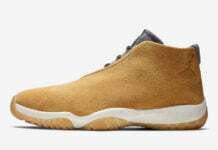 A major following and fan base for the Jordan Future sneaker model has developed ever since it’s original debut earlier this year. 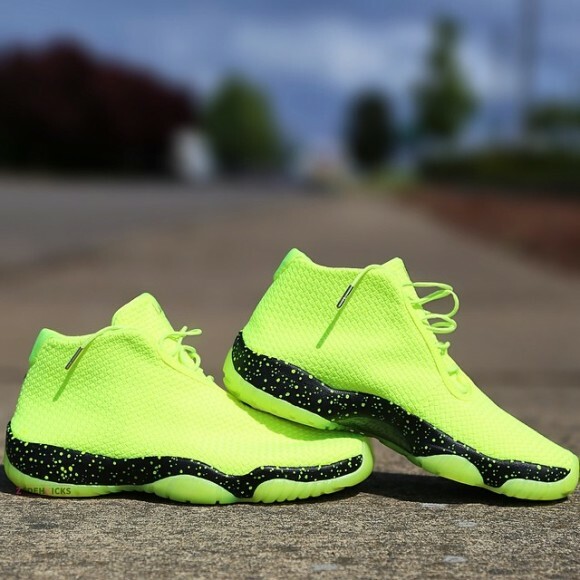 The success was immediate and Jordan Brand confirmed future releases well into late 2014 for the shoes, including this coming weekend’s Jordan Future Volt. Surely to sell out everywhere, we wanted to show readers some other options for copping this season’s best new kicks, but with a little spin, courtesy of Zadeh Kicks! 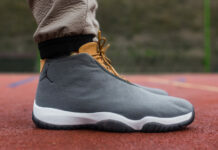 The Jordan Future Volt “Space Jams” customs by Zadeh Kicks see all of the original specs of the Jordan Future Volt, with a blacked out, speckled midsole. The one-piece construction of the woven uppers offers an ultra-minimalist appeal, and a simple silhouette is best for a fluorescent shade, such as the Volt. Zadeh Kicks colored the midsoles all black, and scattered neon speckles all over them. 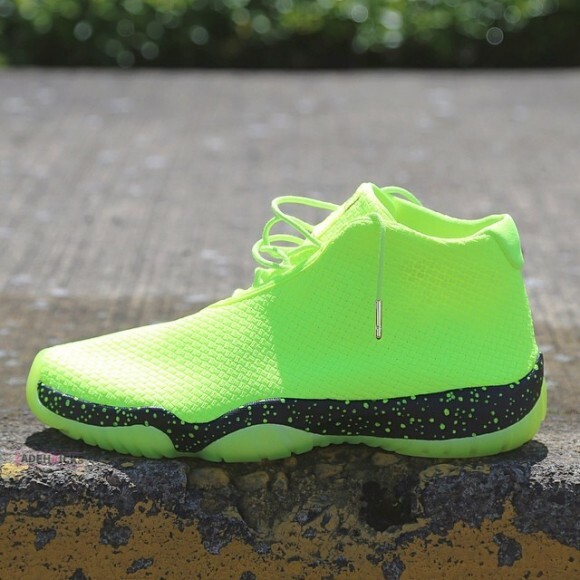 The black makes a clean appearance, sandwiched between the two entirely neon portions of the Jordan Future. 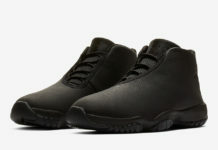 What do you guys think about the black midsole that Zadeh Kicks added? We think it’s a great way to tone done the sneakers, while still showcasing the edginess of color selection. 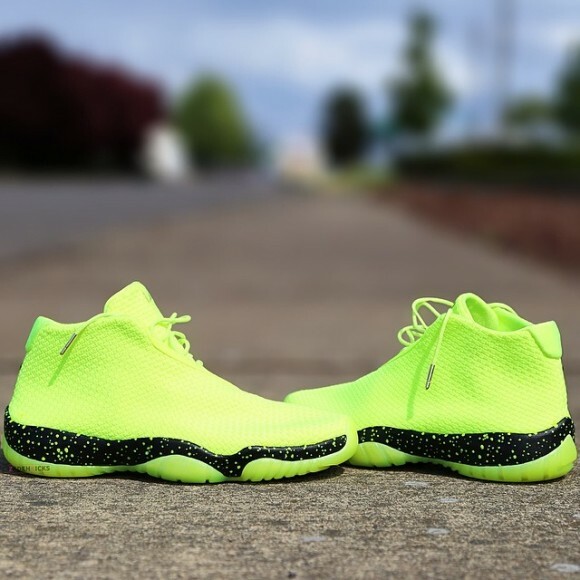 Visit the Zadeh Kicks site to place your order for a pair of custom Jordan Futures! More pics below!